It’s been 2 weeks since I came back from Vietnam. The first week I finished my taxes, met with my friends and organized my belongings scattered among several locations. I finally met Nancie and we discussed the need for volunteers in Vietnam to keep our OLPC pilots alive. After what I experienced in Vietnam I realized that I can’t really do what I used to do: places I lived, my work, places I shopped, events I attended… Many things didn’t make sense anymore… I realized that I see everything in a different light. I don’t need to live in Back Bay with a view of the beautiful park and tall buildings anymore, my job didn’t mean much, as I never understood what I was doing it for and to whose benefit. It always kind of felt meaningless, even though well paid… I was able to afford a lot and yet I felt miserable and depressed (Adam had no clue why I was blogging up the storm back in December, but that was what I felt inside) as I knew my life was not fulfilling. According to Robin Sharma, one of the principles to true happiness is to do what you feel passionate about. 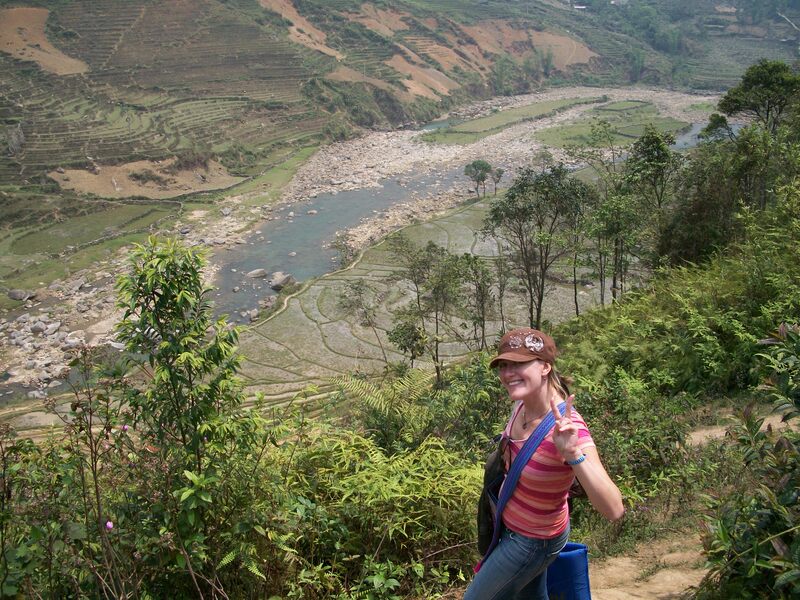 Perhaps, somewhere in the hills of Sapa, Vietnam, I finally realized that happiness is not about getting a better something, but feeling helpful and needed and doing work for other people’s goodness. As a result of this realization I said Adieu to my work and decided to do what I really want to do – to be an advocate for volunteering services. Polyachka: What do you think about volunteering and international development? Polyachka: How do you achieve that? Polyachka: What about teacher’s resistance? Mike: The bottom line is teacher’s confidence… How your get it is your problem, but it should be culturally appropriate. In our case we provided 6 day teacher workshop and then identified 7 teachers who were very enthusiastic and gave 6 more days of training to them. Those seven became the experts and “the go to” for others. Mike: If you don’t have resources to give teachers training, then they don’t have confidence. Polyachka: What kind of volunteers are you looking for? Mike: Various. There is no language requirement, but we always are looking for volunteers with good skills and good attitude. We need people who can prepare manuals for teachers and check them for quality and many other things… We need programmers, fund-raisers, legal and educational professionals, etc. Mike: With help of volunteers we can achieve so much more here. If we do it right in Afghanistan , it could be replicated anywhere in the world. Polyachka: So what is Afghanistan like nowadays? Mike: I wrote about basic rules in the country guidance pack. Polyachka: what’s in the future for Afghanistan OLPC? Polyachka: How are you doing evaluation right now? Mike: language, math and art… It is not scientifically valid but strong indication – control group…. Polyachka: How long do they stay in school? Mike: they should attend technically 12 grades, but some do 6, some do 12 in the cities, but in the country side and the rural area a lot don’t go to school at all. Polyachka: How much have you already developed? Polyachka: Are you in touch with Nepal deployment? Mike : Does Vietnam have a normal paper based curriculum? Mike : That’s the only way really…. Polyachka: but what do you mean about the cost of content? Polyachka: don’t they just use unpaid volunteers? Polyachka: to do all that? Mike : Actually why don’t I spare 20 mins now and grab my headset? Polyachka: But how do people involve UN in paying for it? Mike: …educational challenges we have in Afghanistan are similar across developing countries: 1) Too many kids in the class, not enough teachers, 2) because of the lack of teacher time the children are not given the feedback they need, 3) Need for libraries, resources, independent studies, etc. Mike : sorry at the moment I am busy on some programming work and gotta finish off quite a bit before tomorrow morning…. Mike : would anytime that you are in Hanoi work? Polyachka: btw, do you have a big team there working with you? Polyachka: who work on XO/Sugar stuff? Polyachka: the what else do they do? It’s been 10 days since I left Saigon. Hanoi is everything Saigon doesn’t have, I feel like I’m in Paris of Asia. Weather is cooler here and I see it as a bonus at the end of my volunteering term! As we planned, the girls at the shelter had Internet access last weekend and I received 2 emails from them, saying something in Vietnamese, I couldn’t really understand but it sounded positive 🙂 I couldn’t translate as they used English characters to write in Vietnamese, because Vietnamese characters still don’t work on the XOs properly. I sent more pictures to them and asked to write more, and to run software updates on their XOs. 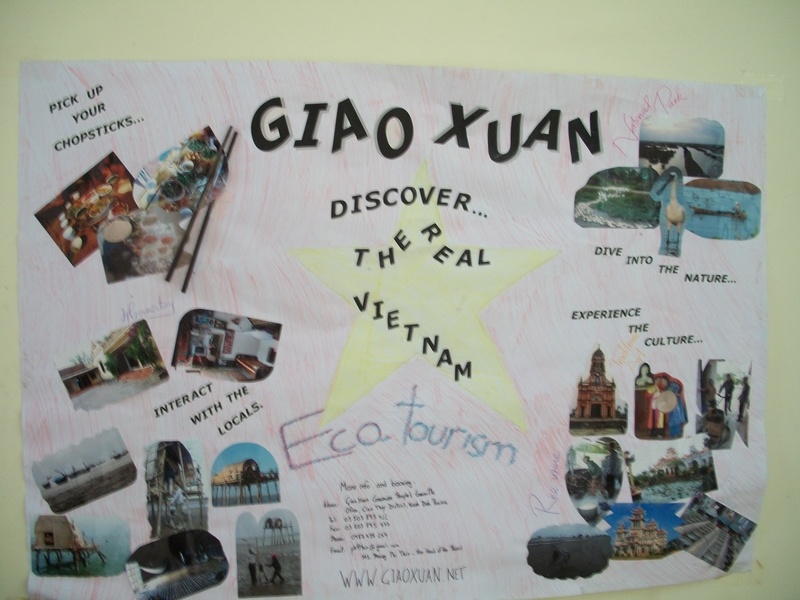 There are a lot of volunteering organizations and NGOs in Hanoi. I visited two of them, met the managers and learned about different programs. Volunteers are always wanted! Habitat for humanity is offering micro-finance programs for families willing to start a business or renovate their houses. Volunteers come and help build houses for the most in need. I met Phuong from VPV, and he told me about his programs. His focus is international development and volunteering. Local hosts and volunteers work together and learn from each other, make their friendship long-lasting and businesses sustainable. 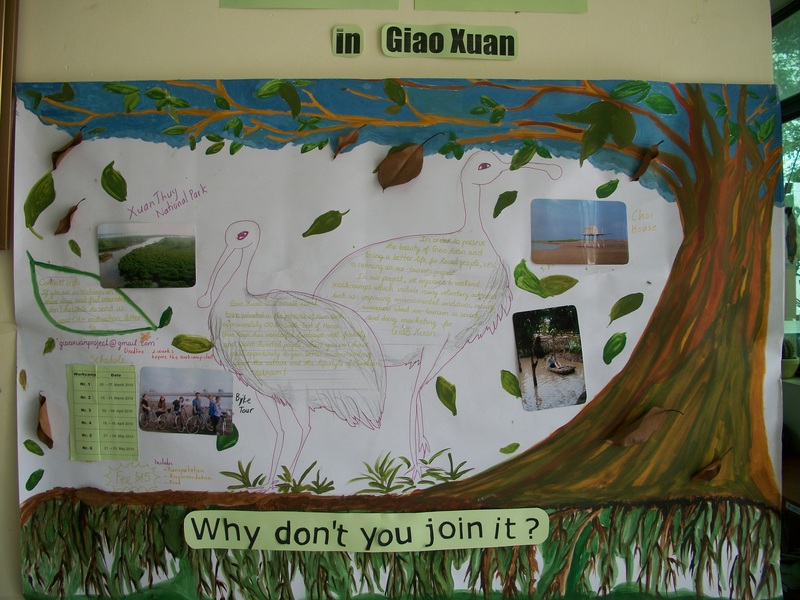 In the case of Giao Xuan, it took two years to develop sustainable eco tourism businesses with good qulity of services and goods. I thought of Hung, a business owner of a home stay in Can Tho, Mekong Delta. Hung was a former boat driver, who learned English from tourists. He saved some money and built several bungalows next to his house. Today he hosts tourists and offers additional services, like private tours, cooking classes, etc. He learned how to be independent and successful. I remember my questions from https://saigonolpc.wordpress.com/2009/12/31/sao-tome/ and I think I found some answers. Volunteering is very rewarding and I would recommend it to everyone. The XO and Sugar, besides being fun educational tools, help children develop skills, including problem solving skills, that they can use in real life. Skills plus access to information help people to find ways to improve their lives and help others. Vung Vieng Village. What is in its future? Will its residents stay poor or learn to be entrepereneurial and start their own businesses and then they will supplement their income from fishing? I hope they will not become heavily dependent on toursits like in Sapa.